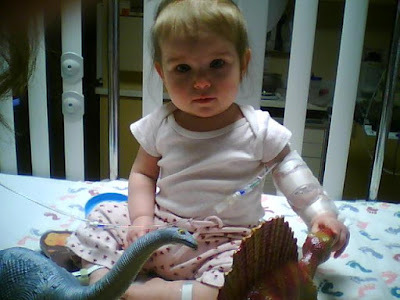 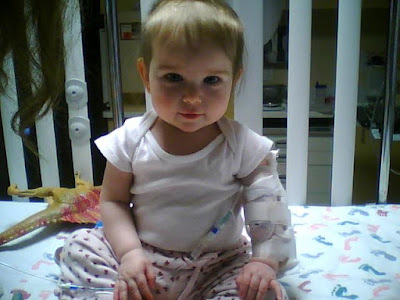 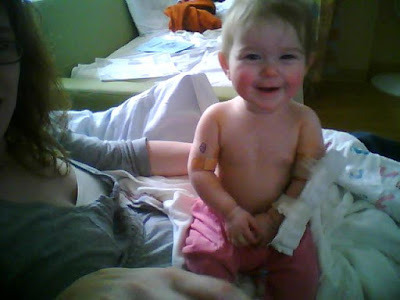 Last time we were in the hospital...here is Neviyah prior to the PICC line being inserted. 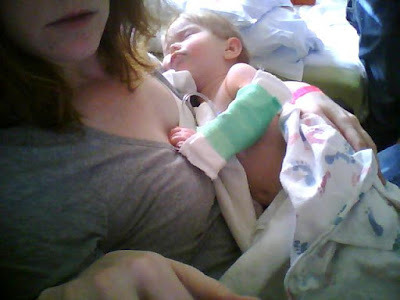 Directly after the PICC line was installed...she woke up from her general anesthesa...breastfed...then konked back out. 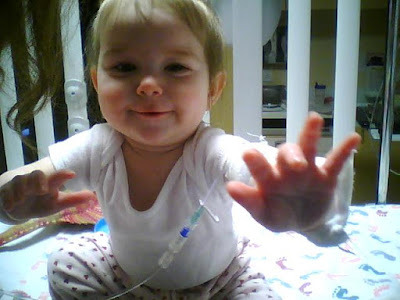 Perhaps the happiest baby in the world? 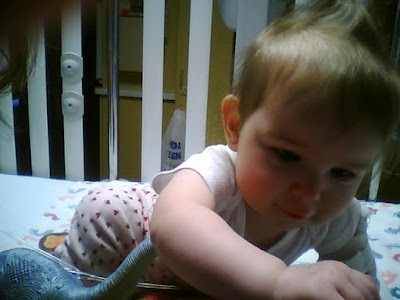 :) She's a champ!